BAT must take responsibility for appalling conditions on tobacco farms in the US! Reynolds American Incorporated (RAI) is the second-largest tobacco company in the United States (after Philip Morris) with annual profits of over USD 2 billion. Its shareholders have enjoyed an over 80% rate of return over the past 5 years. British American Tobacco (BAT) holds a 42% share, making it the largest shareholder. Read more about BAT must take responsibility for appalling conditions on tobacco farms in the US! Housekeeping staff at the Rendezvous Hotel in Auckland are back at work today, having ratified an agreement won after 13 days locked out by their employer without pay. Service and Food Workers Union Nga Ringa Tota Members members won a pay increase of up to 2% for a one-year term, and kept their sick leave, after an 11-hour mediation to reach a settlement. Members of Unite Here! walked off the job early on the morning of June 24 just as members of the G20 French delegation arrived at Canada's Novotel Toronto Centre hotel, part of the French-based Accor Group. 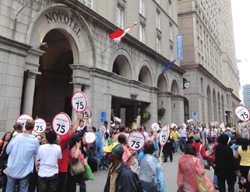 Troubles have been brewing at Accor across Canada, where union organizing for union recognition and collective bargaining rights has met with fierce opposition from management, and more widely through the Group's operations. 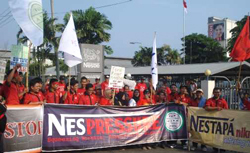 Domestic workers fighting for rights and recognition through binding international standards won a crucial first round victory at the this year's International Labour Conference at the ILO in Geneva. On June 4, 61 governments voted in favour of a Convention supplemented by a Recommendation, against 14 voting for a Recommendation only. Malin Klingzell-Brulin and Gunnar Brulin, journalists for the Swedish Food Workers' monthly Mål & Medel, have written a book we can recommend gladly, not only to trade unionists and workers within the global food system, but to all concerned with the most fundamental of human rights, namely the right to food. Food for Thought: on food, power and human rights, tackles a theme - power in the world food system, that has been written about from many points of view. Over three hundred workers at the highly profitable Mott's plant in Williamson, New York are on strike against deep cuts in pay and benefits, and the employer’s refusal to bargain a fair contract. Mott's is produced by Dr. Pepper Snapple Group (DPS), the North American beverages division spun off by Cadbury Schweppes in 2008. Global union federations including the IUF, the ITUC and TUAC have agreed on a common set of principles to guide union action to tackle the employment consequences and impact on unions resulting from the expansion of temporary employment agencies. Since 2008 workers at three Accor hotels in Canada, have been organizing to win union recognition and collective bargaining rights in the face of fierce opposition from management. Speaking at a June 3 side meeting at the International Labour Conference in Geneva, the United Nations' Special Representative on business and human rights (SRSG), John Ruggie, called on the ILO for guidance in elucidating the human rights implications of precarious work. 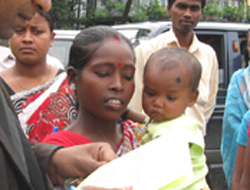 Workers from a West Bengal tea plantation who participated in a protest last year against the abusive treatment of a pregnant 22 year-old tea garden worker could face prison sentences of up to 7 years, if India's powerful Tata Group has its way. Mrs. Arti Oraon, who collapsed after being forced to work while 8 months pregnant on a Tata-owned estate, now faces criminal charges. 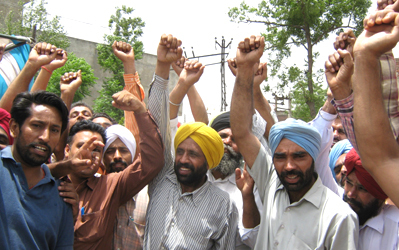 Following a month-long campaign, the Milk Food Factory Workers Union at the GlaxoSmithKline (GSK) Horlicks factory in Nabha in Punjab state in northwest India, has won permanent employment for 452 casual workers employed on a 'temporary’ basis for more than a decade. When the US-based Schreiber Foods Inc acquired a 51 per cent stake in Dynamix Dairy Industries in 2004, one of India’s most advanced milk processing plants was transformed into a global company. SIPTU, the union for hotel workers in Ireland has launched a campaign to support hotels which hotels which treat workers fairly and promote quality jobs in the industry Over 40 hotels across Ireland where workers have collective bargaining rights have signed up to the campaign, encouraging union members and consumers who care about workers rights to use these hotels. A close vote to accept a mediated proposal on May 24 has brought an end to nearly two months of conflict around renewal of the collective agreements in the Finnish food sector. The General Council of the Finnish Food Workers voted to accept the government mediators' proposal, which preserves existing shift and working time arrangements against employer efforts to stretch the working day to as long as ten hours.